I have always acted in the best interest of our community and the country. The Irish people have worked to overcome the worst these last few years have thrown at us. We must ensure that the progress made is not squandered. Together, we can move towards a brighter future and secure a fair recovery. We must ensure full employment is achieved. While unemployment is at its lowest level in seven years, we must ensure that everyone has a decent job. We must work towards a Living Wage. Work must pay so that everyone does a fair day’s work for a fair day’s wage. We must build more houses so that everyone has a decent, affordable home. "Some tax relief for low and middle income families is essential but we must use the majority of the fiscal space for investment in a strong, sustainable economy. Labour favours a 75:25 split between investment and tax relief." "Labour's tax plan will ensure high earners continue to pay their fair share. Low and middle income families will benefit from our commitment to abolish USC on incomes up to €72,000." "We believe in a publically funded water utility and that certainty around a fixed charge is important for households, while continuing to roll out the metering programme to assist in water conservation." "Labour supports tasking the Low Pay Commission with raising the Minimum Wage to €11.30 over lifetime of next Government." 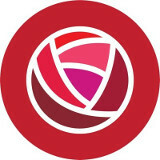 "Labour has launched a workers charter - ‘Standing Up For Working People’, https://www.labour.ie/download/pdf/labour_workers_charter_2016.pdf"
"Labour in Government has introduced rent certainty meaning that anybody who has faced a rent increase in 2015 will now not have a rent review until 2017." "We are committed to the introduction of safe traveller accomodation across the country in consultation with Traveller NGOs along with local community engagement." "We are committed to the roll out of Universal Health Care with the roll out of free GP care for all as a crucial first step. Any proposed model of UHI must be affordable for families, create more equal access and improve outcomes for patients. " "We will move immediately to cap the cost of childcare for all children under 12 to €4.25 per hour for up to 40 hours of childcare a week in 2017. By 2021, the cost to parents will be €2 per hour, for up to 40 hours per week. Our approach will save parents thousands each year." "All pupils should have the opportunity to learn about various religions and belief system to develop an ethical understanding of the world. Schools should be permitted to teach in line with their ethos, the consitutional right of every child to opt out from religious instruction must be vindicated"
"Local schools should prioritise local children. An appropriate mechanism should be put in place to protect the ethos of minority faith schools serving dispersed communities." "In response to the current crisis, Ireland has already agreed to re-locate/re-settle up to 4,000 people through various mechanisms. A more co-ordinated and coherent EU response to the current crisis is needed." "We are committed to a truely social Europe wehre there is much greater coordinated focus on investment in jobs and growth so that all EU citizens have the opportunities they need." "The Labour Party legislated for Ireland's first ever Climate Change Law." "The Labour Party proposed and put in place the Constitutional Convention, a first attempt at citizen led engagement to examine our constitution."